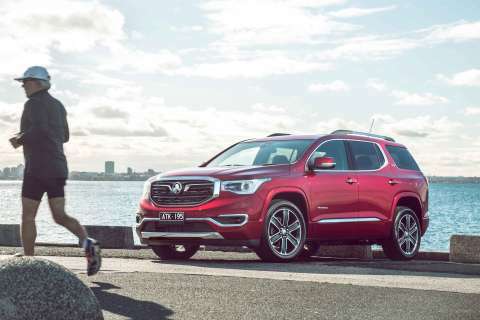 Holden's New Big Acadia Arrives | | A Wheel Thing. 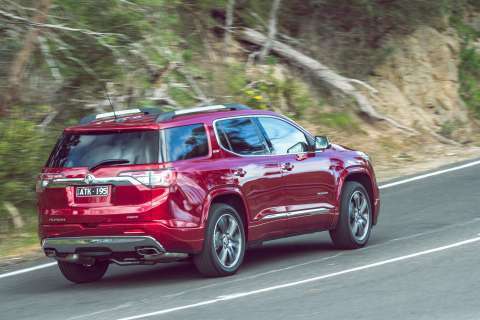 Holden has released details about their new, fully North American built, large SUV. The Acadia is a dedicated seven seater and is powered by a 231kW/367Nm 3.6L V6. There will be no skimping on safety features either, with the Acadia featuring: Autonomous Emergency Braking with pedestrian and bicycle detection, Following Distance Indicator, Automatic High Beam Assist, Safety Seat Alert, Forward Collision Alert with Head-Up Warning, Lateral Impact Avoidance, Lane Keep Assist with Lane Departure Warning, Side Blind Zone Alert with Rear Cross Traffic Alert, and Rear Parking Assist. TSR or Traffic Sign Recognition is a new feature. Holden says they have had an engineering team perform tests within tens of thousands of kilonetres worth of testing. This has enabled the TSR system to be sophisticated enough to recognise the variance in signs throughout Australia, which also highlights the lack of commonality in signage across the country. 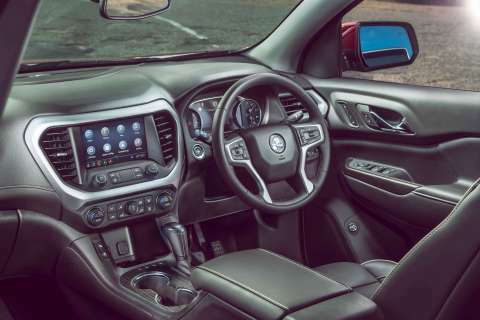 There will be Holden’s next generation eight inch touchscreen plus, for all three rows of seats, fast charging USB ports, suitable for the current generation of smartphones and tablets. There’s some smart tech on board and aimed at people that will utilise the Acadia’s 2000kg towing ability. Hitch Guidance and Hitch View allows a driver to line up the Acadia using the reverse camera, plus there’s a program for the nine speed automatic transmission called Tow Haul. This changes the shifting characteristics of the shift patterns whilst driving and towing. 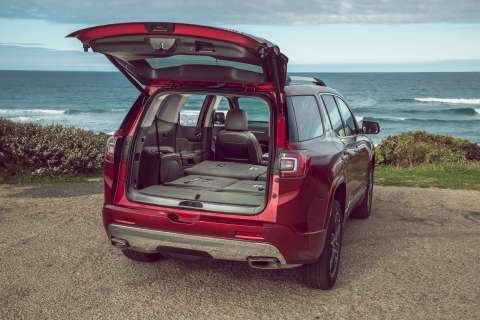 Inside the Acadia will be clever storage solutions such as adjustable fore and aft position for the middle row, a console drawer for the second row, a storage bin in the rear, and just in case the parents have a brain fade, an alert system for the rear seats. The V6 is rated at a reasonable 8.9L/100km on a two wheel drive system, and increases barely to 9.3L/100km in four wheel drive. Thankfully it’ll run on standard unleaded, a handy thing with the expansion of Australia’s fuel prices. That’s helped by Stop/Start and AFM or Active Fuel Management as standard. Suspension is the tried and true McPherson strut front and the five link rear end, tuned and fettled by Holden in testing on roads and at the Lang Lang grounds. Pricing starts from $42,990 plus on-roads with the Acadia LT 2WD. the AWD LT clocks in at $46,990 plus on-roads. Move up to the LTZ 2WD and there’s $53,990 plus on-roads or $57,990 plus on-roads for the LTZ AWD. The top of the range LTZ-V 2WD is $63,990 and hits the ceiling at $67,990 for the AWD, again with on-roads to be added. Here is where you can find out more and book a test drive. Be the first to comment on "Holden’s New Big Acadia Arrives"